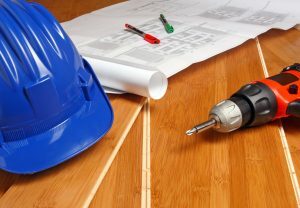 The recent release of the Temporary Regulations under Section 263(a) has changed the manner in which the residual basis of existing assets is handled following removal on remodeling projects. In the past, demolished assets had to be carried on the client’s books until the full cost had been recovered and ultimately retired. Now, however, the value of the removed real property assets can be written off as abandoned components in the year incurred that includes the retirement of the disposed assets. During an asset disposition study, Lindon Engineering Services identifies and quantifies the value of removed 39-year real property components as a result of a renovation or remodel to an existing structure. The accumulated depreciation that has been acquired since the component has been placed in service is then deducted from the estimated value, and the remaining value is subject to a one-time expense deduction usually resulting in a lower tax liability and a more accurate accounting of a company’s assets. Since 2004, we have partnered with Lindon Engineering on Cost Segregation Studies for dozens of our clients. Their skills and expertise have helped us save hundreds of thousands of tax dollars for our clients through increased accelerated depreciation on larger portions of newly acquired properties, renovated buildings and construction projects. In recent years their newly developed demolition/disposition cost identification study product has saved many thousands more in tax benefits for our clients, allowing them to identify cost allocable to portions of existing structures disposed through demolition related to remodeling and other such projects. Working with Lindon has become an integral and necessary pat of our client service structure. Their engineering skills have discovered many more opportunities for assigning shorter depreciable lives and disposed assets than other studies performed without engineer involvement. Their team works seamlessly with our tax professionals to ensure that their results comply with current IRS regulations and guidance as to such matters. We would find it difficult to perform this work effectively without the highly qualified team at Lindon Engineering. 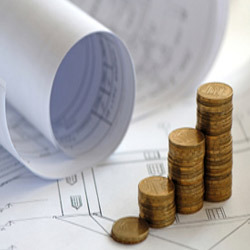 A cost segregation study is a review of the costs associated with the acquisition or construction of a building and reclassifying the depreciable life of the various assets in order to improve the cash flow of the business by reducing the tax liability of the firm. This is accomplished by accelerating the depreciation on assets reclassified as personal property components. To determine which assets are to be reclassified, an engineering cost analysis of the facility is performed and the assets listed according to their use or function. The reallocated assets are then assigned a cost by estimation methods or from the owner’s cost records and an appropriate depreciable life determined. The end result is that the owner receives an increased cash flow by trading a non-cash transaction (depreciation) for a cash transaction (lower tax payout) over the life of the facility. CONTACT US AT 812-285-1250 FOR A NO COST EVALUATION TO DETERMINE WHICH OF OUR SERVICES WOULD BE BEST SUITED FOR YOU!